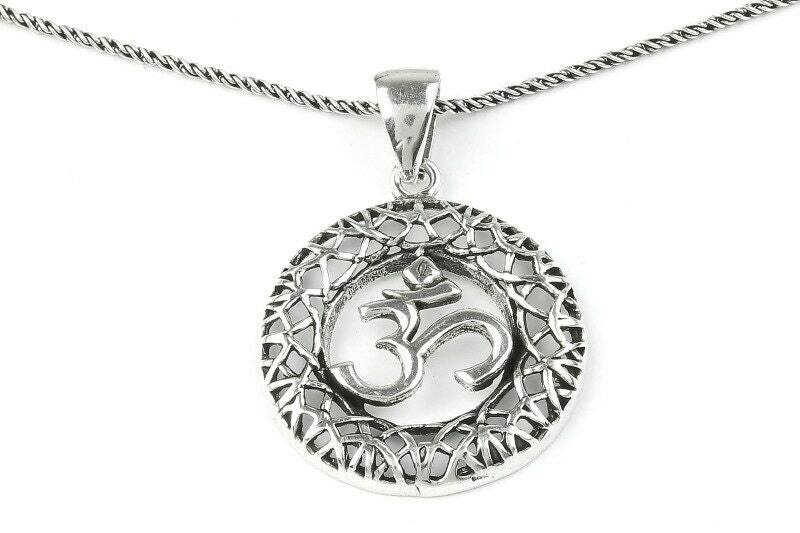 This necklace proudly displays the sacred symbol of Om. The center Om is encased in a circle weave pattern. Om is a symbol of creation. It represents the divine motion of the universe. 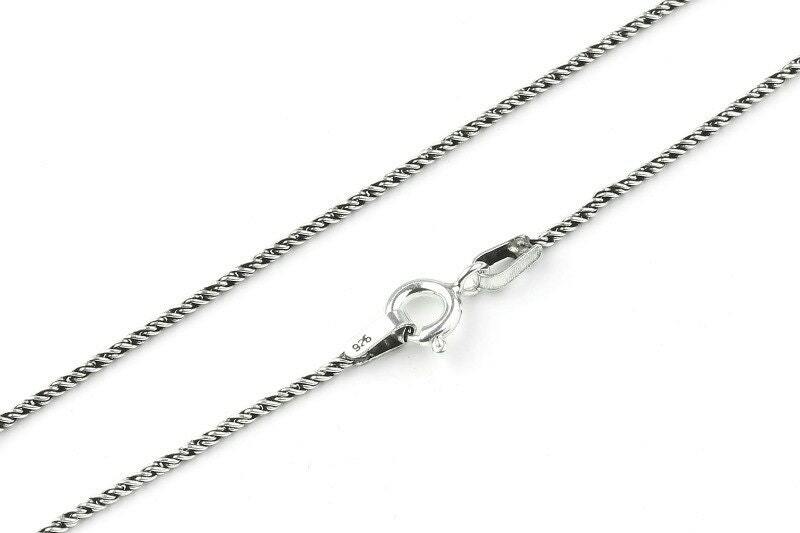 Chain is 24” in length. Light Patina finish gives the piece a organic appearance.